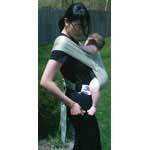 It is so easy to make a baby sling - look how much money you will save by sewing a baby sling! It doesn't take much in material to make one, so it's easy to make several in different colors and different styles, depending on what your needs are. 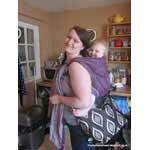 So start browsing all these wonderful tutorials and baby sling patterns. 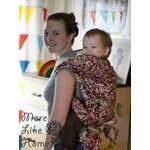 This ring sling can be worn on your back, front or side and can be put on and taken off in just seconds. With only two yards of stretchy knit fabric and this pattern you can create a ring sling for keeping baby close and your hands free. 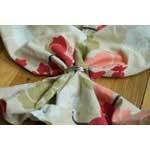 Create two slings in one with this easy sewing pattern for a soft padded sling made from two different fabric prints. 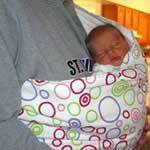 A video tutorial on how to make a comfortable sling for baby using a re-purposed bed sheet. 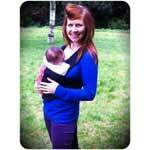 Sew a non-adjustable fitted baby sling out of your choice of fabrics and prints using these detailed instructions with pictures. 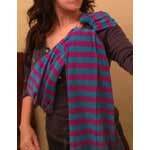 Use this pattern to make a Mexican rebozo that is designed to be tied in a knot and placed around mother's upper body. 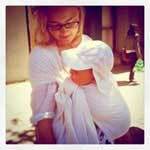 Here are six easy steps for sewing a ring sling that makes breast feeding easy on you and on your baby. This pouch was orginially created by Native Americans and is extremely easy to make when following this sewing project. Take 2 yards of fabric and some standard sewing supplies and you can easily make this simple peanut shell sling for baby. 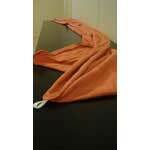 Here are detailed instructions for making a well fitted ring sling that is un-padded. 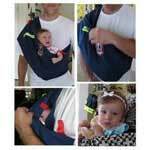 Use this pattern with pictures to help you sew a ring sling that will easily keep baby close and mother's hands free. This sling pattern will have you draw an imaginary line from your belly button to your hip for a sling that will fit you just right. Here is a detailed pattern with pictures to help you create a simple baby wrap plus suggestions of the best fabrics to use. 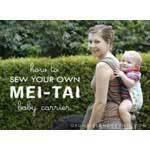 Keep baby close and comfortable from infant to toddlerhood with this strong and sturdy mei-tai carrier. This sewing pattern has easy to follow instructions for making an inexpensive baby sling in only five minutes. 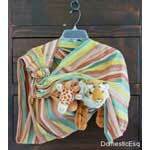 Here you will find instructions for a baby wrap made from a tablecloth, a basic ring sling, a mei-tai and more. Using basic sewing skills and this easy to follow tutorial you can easily make a custom baby sling for you and your baby. Use this pattern for a custom mei-tai made out of two yards of heavy fleece in your choice of colors and prints. 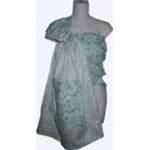 With just a few yards of jersey fabric and this simple pattern you can make a comfy bonding place for you and baby. 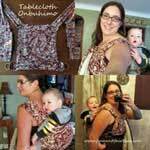 This sewing project takes a tablecloth and makes it into an attractive and safe baby wrap with just a little cutting and sewing. 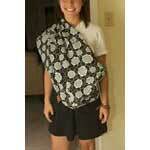 Use this pattern to create the perfect baby bag to wear along with a sling when toting baby away from home. Take one 60 x 120 inch tablecloth and these two patterns and you can make a mei-tai and a ring sling to carry baby in comfort. 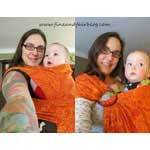 Keep your hands free and your toddler close and comfy by creating this Japanese inspired baby wrap. This mei-tai is made from a single tablecloth, has wrap style straps and offers great support for small babies to the larger toddler. It's fairly easy to create an onbuhimo of your very own when using this easy to follow tutorial with pictures. This sling is made from a large piece of retangular shaped fabric with hemmed edges and pleated through two metal rings for sturdy support. 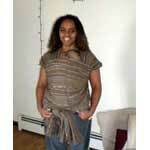 Save money by using this step by step pattern for sewing together a ring sling that is custom made to fit your body. Learn how to make this Japanese inspired onbuhimo out of one placemat, one table runner, some fabric and two sling rings. Simple straight line sewing is used here in order to connect rectangles to rectangles for a mei tai carrier. 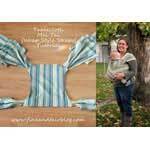 Two fabrics are sewn together to create a breathable resting place for baby in this easy to follow ring sling project.